Through the internship application and interview process, students gain valuable real-world experiences. For the 10th year in a row, WHSAD hosted its annual Internship Interview Breakfast. 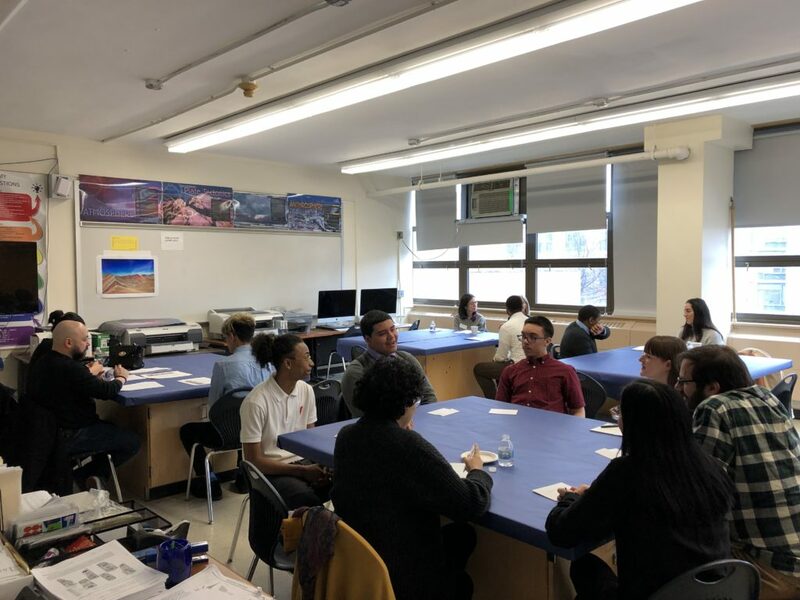 Partner organizations, such as Silman Structural Engineers, The Park Avenue Armory, Heritage Equity Partners, and others, conducted over forty interviews with two dozen students who applied for summer internships. In the following narratives, students share their thoughts regarding the experience, including why they applied to specific internships, how they prepared for their interviews, and advice to future students who will be applying and interviewing for internships. I applied for the internship at Silman Structural Engineering and the World Monuments Fund. I applied to these internships mainly to gain working experience and skills in an office environment. I actually did not prepare for these interviews because I did not know the kind of questions I would be asked. I had an interview a while back, and what I recalled that actually helped me was to not fidget during the interview. I would recommend to any future applicants that you prepare any work or any accomplishments you have done, since they tend to ask what projects you have been involved in. I would like to get accustomed to the office environment and gain skills in basic office tasks. I would also like the financial compensation to assist me in my college costs. I only applied for one position, which happened to be the internship at Silman. I applied for this internship because the description described my ideal experience. At Silman I would not only be working in the office but also going on site visits. This balance between the two is something that was very important to me. That is for the most part why I chose to interview for Silman. To prepare for the interview, I honestly didn’t do much. I’ve had enough interviews as of now to be familiar with what to say and how to say it. Although this does not go to say that I was 100% prepared. I definitely should have gone over common interview questions and prepared basic answers for what I wanted to say. This would have helped me be more straightforward and clear with my interviewers. One thing that I had remembered while being interviewed that I had actually forgotten about, is the usually calm environment in interviews. The interviewers are there to get to know you and more often than not we (the interviewees) can misinterpret an interview as something scary and tense. While it’s important to remain formal, you don’t need to be all scared and closed off; this will give the wrong message to your interviewers. To future students who apply and interview I would say to be yourself most of all. You don’t want to give a false image to your interviewers because that can do more harm than good to yourself in the long run, especially if you get hired. So just be true to yourself, and allow the rest to happen naturally. Lastly, out of the internship I am expecting to not only gain experience working in an office setting with a team but am also hoping that I get to communicate with my co-workers and learn a lot about them and their stories. That is what I find most interesting about these internships, more than the actual position in fact. I find that the connections you make with these people and the lessons you learn from them can go a long way in your experience.